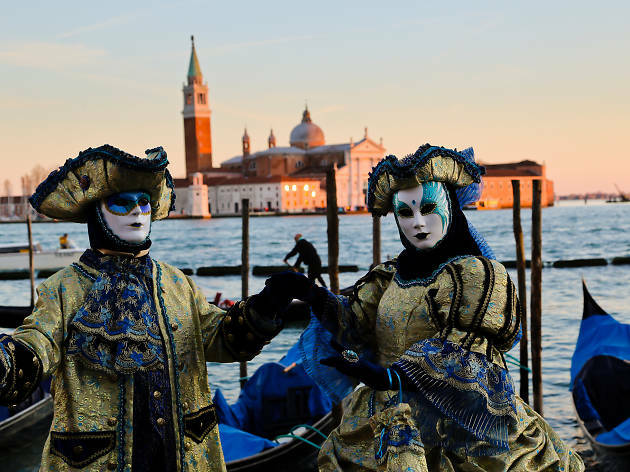 Home to such culture-defining experiences as the Carnevale and the Venice Biennale, it is no surprise that the best events in Venice draw approximately 30 million visiors to la Serenissima (the Serene Republic) each year. With savvy planning, travellers can experience the city in full pageantry through a dizzying array of world-class things to do, festivals and events; Venetians revel in banding together to honor the city’s rich traditions as well as creating colourful new occasions to celebrate life on the lagoon. 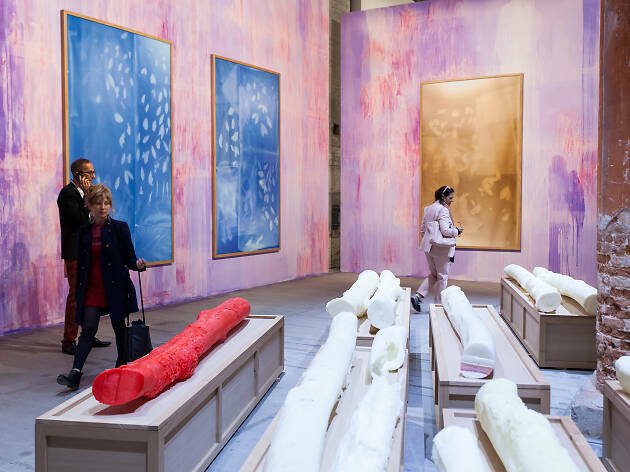 At the forefront of everyone's Venetian plans is this year's Venice Biennale: the 58th International Art Exhibition, which happens every two years, will take over the town on May 11 through November 24, 2019. Ralph Rugoff, the current director of the Hayward Gallery in London, is set to curate the experience, this year titled "May You Live in Interesting Times." 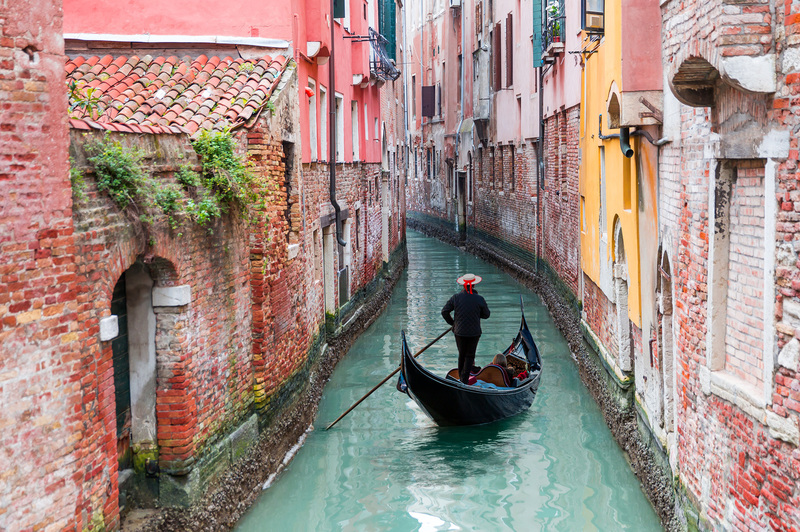 With an event for nearly every imaginable occurrence, from honoring saints to spotlighting hotshot film makers, Venice proudly shares its unique culture with travellers seeking immersion beyond just the top museums and renowned restaurants. Being an active participant in local culture offers deeper perspective of the city and people as well as opportunities to meet and support artisans and mingle with residents. For two weeks leading to Shrove Tuesday (Martedi Grasso or Mardi Gras), the city is aglow with pageantry and spectacle of Carnival. Many events centre on St. Mark’s Square, such as the highly-anticipated “Flight of the Angel” (Volo dell’Angelo) which sends a young beauty flying overhead via zip line, but celebration can be found in every neighbourhood and nook. 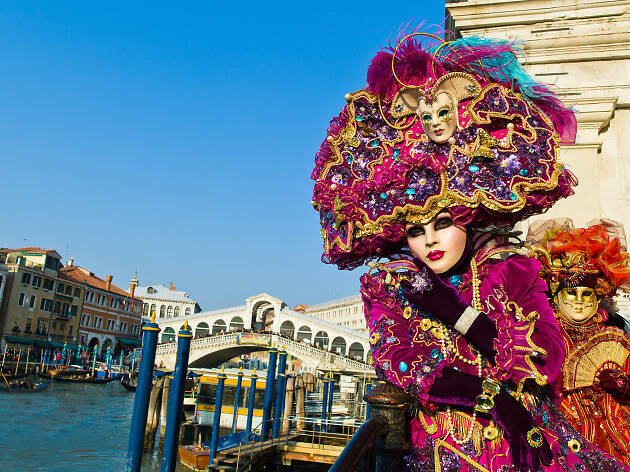 Colourful parades on water and land, regatta boat races, kids’ fairs and free live performances keep the city abuzz, especially during weekends; but the ultimate Carnivale experience is attending a masquerade ball. 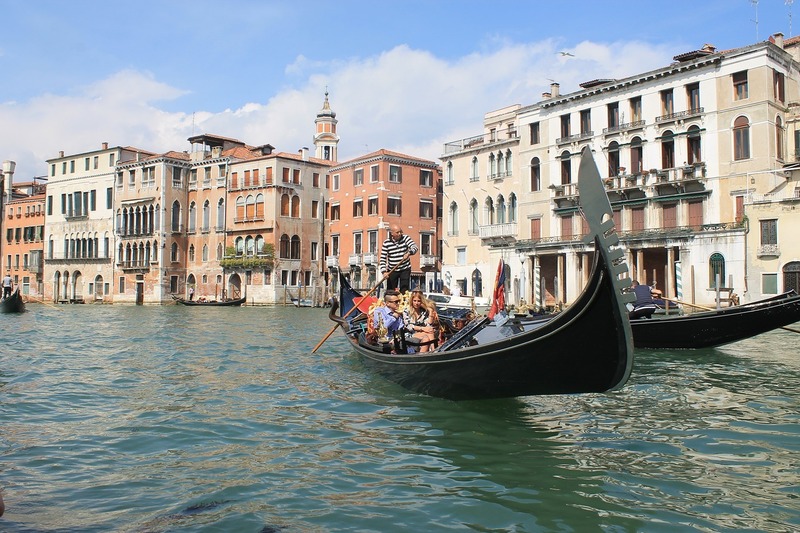 Many are private and invitation-only, while others are ticketed affairs like the famously extravagant and expensive official ball held at Ca’ Vendramin Calergi on the Grand Canal. Hotels and guest houses can help arrange event tickets, costume rentals and photography sessions. 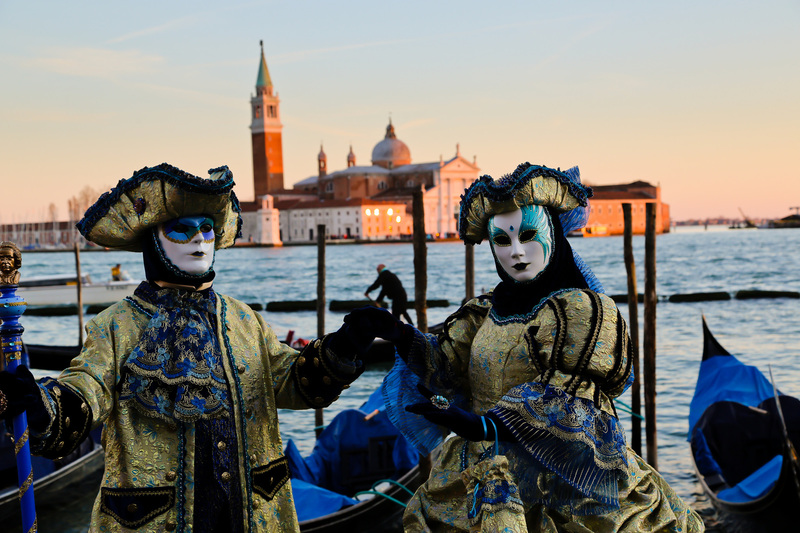 Sign up for locally-led mask-making workshops for insight into the centuries-old tradition and a truly meaningful souvenir – your one-of-a-kind, hand-crafted Venetian mask. 2018 marked the 40th edition of the beloved community event, which literally translates to “Up and Down the Bridges.” On a Sunday in spring, locals and visitors, young and old, join together to march around Venice, weaving through historic sights and into less travelled areas. 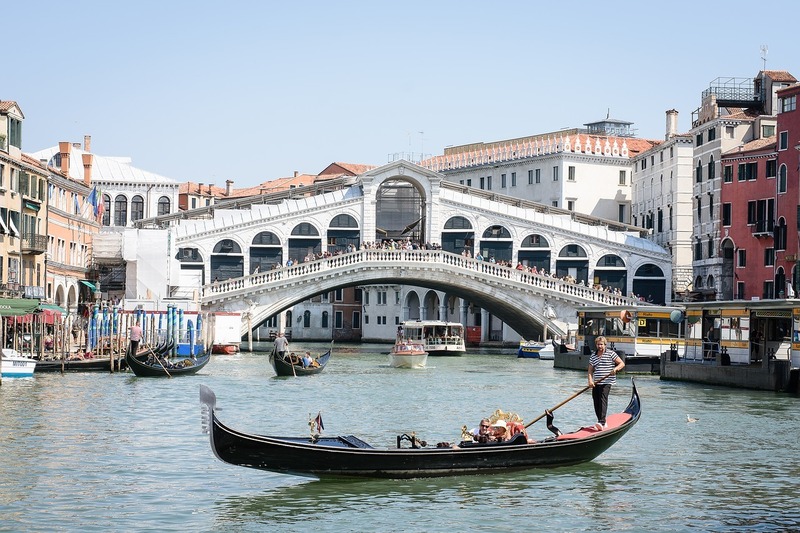 Choose between routes, including the long option beginning in St. Mark’s Square and travelling for 15.5 kilometers, up and over 42 bridges or a shorter route beginning at Santa Lucia Railway Station and venturing 6 kilometers over 20 bridges. Along the way, expect to find folk musicians and entertainers in neighbourhood squares (campi), ample refreshment and a spirit of community and camaraderie. 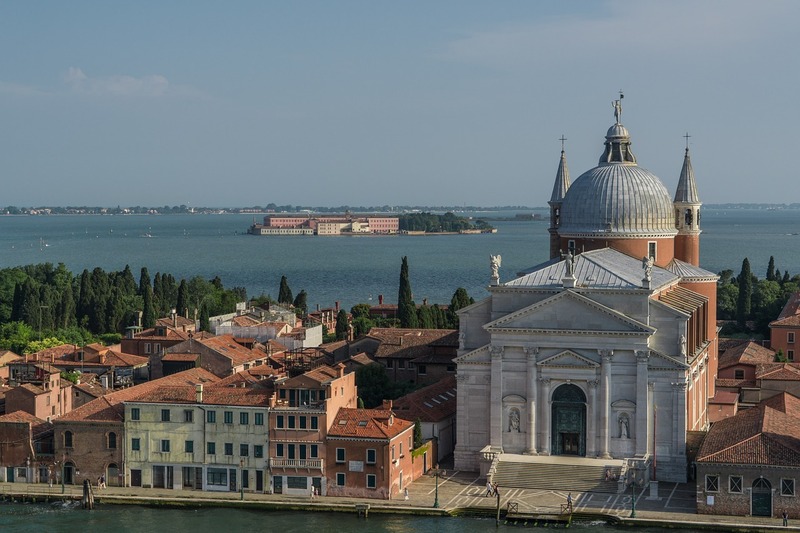 Founded in 1895, the mighty Venice Biennale presents world-famous exhibitions dedicated to contemporary art, architecture, dance, film and theatre. The International Art Exhibition is one of the world’s most prestigious forums for contemporary art. From mid-May to November, biennially on odd years, the festival beckons artists, curators, collectors and curious travellers to experience visionary works, unified by a common theme. This year's theme has been announced: “May You Live in Interesting Times.” Artists from 86 countries are represented in national pavilions. 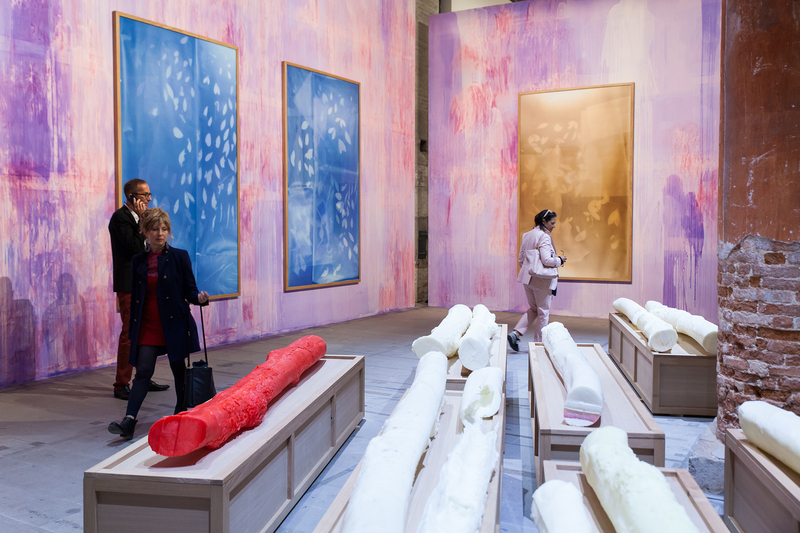 The exhibition’s six-month duration and footprint – with two official areas in the former Arsenale shipyard and Giardini gardens as well as complimentary events all over the city – make for a surprisingly accessible and relaxed experience. 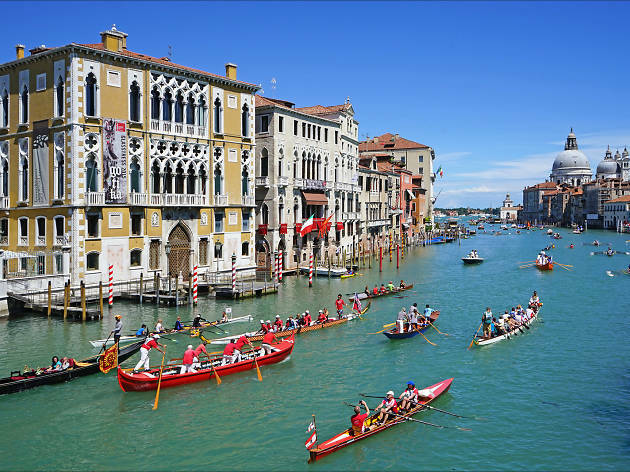 Venetians celebrate the city’s inextricable bond and coexistence with water every year by staging a historically-infused, symbolic wedding ceremony between the city and the sea. The father of Venice (once the doge; today, the mayor) in majestic parade boat leads a colourful procession of rowers into St. Mark’s Basin, where a ceremonial ring is tossed into the sea to mark the union. 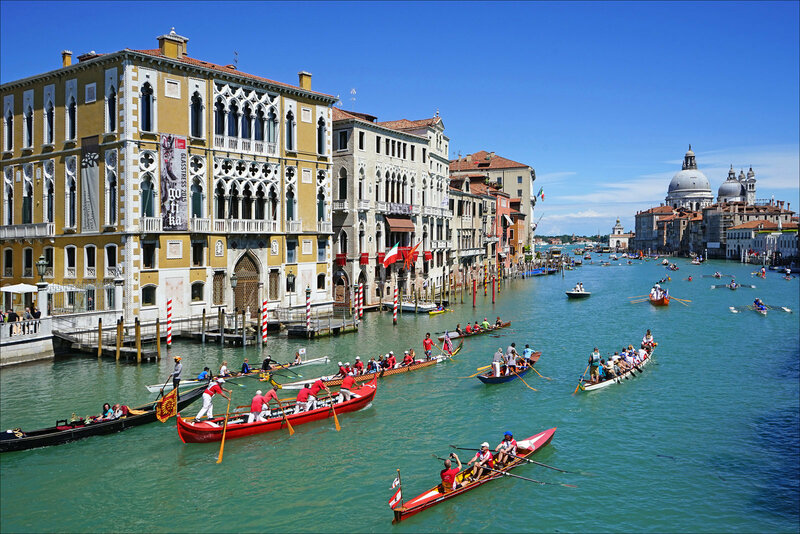 Venice rowing associations are joined in procession by contemporaries from towns along the Adriatic, once part of the mighty Venetian empire, followed by a series of highly-anticipated regattas, including a women’s race on mascarete boats and men’s four-oared gondola race. Traditional markets, period-clad entertainers and trumpeters add to the festive spirit of this day-long celebration. 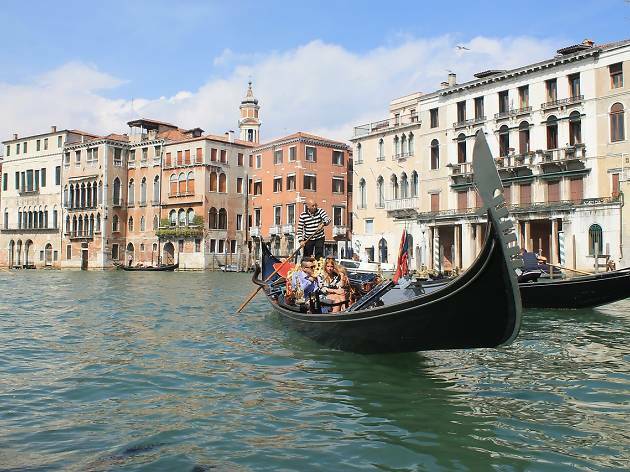 Often described as a celebration of “oar over engine,” for more than forty years, this spring-time event has raised awareness about adverse impacts of motor traffic to the Venetian lagoon. 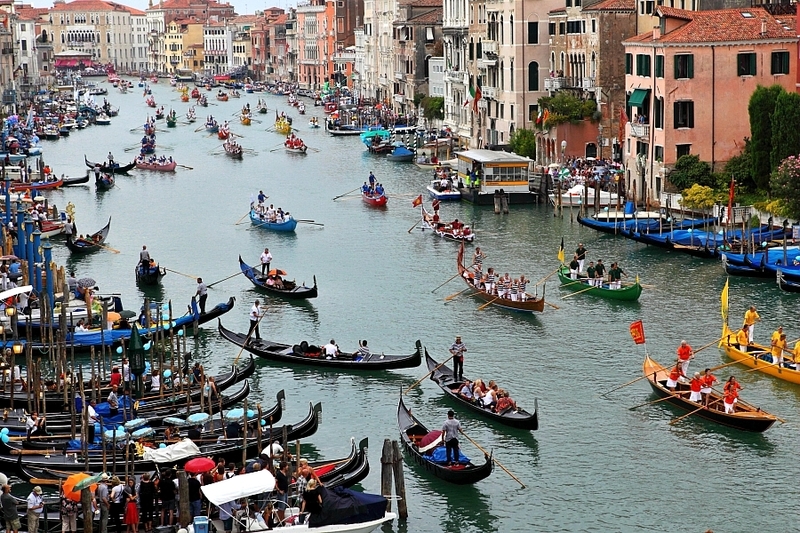 What began as a protest has blossomed into one of Venice’s most unique and beloved festivities, bringing together nearly 7,000 rowers in over 1,700 non-motorised boats of every size and shape. Boats set off from the Doge’s Palace to row a 30-kilometer circuit through the lagoon with cheering crowds lining canals and bridges nearly every paddle along the way. From the ceremonial lifting of the oars to the very last stroke, the feeling of reclaiming the lagoon is palpable for rowers and onlookers alike. This relatively new event to Venice’s cultural calendar shines much-deserved spotlight on the island’s emerging artisans and arts spaces. 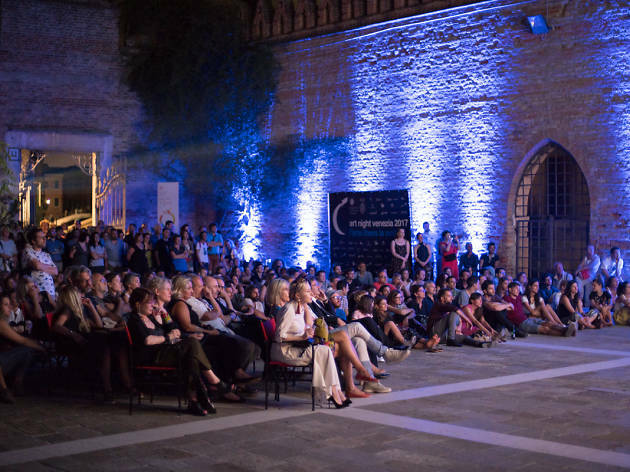 On a summer evening in June, Venice Art Night, an initiative shepherded by Ca’Foscari University, encourages galleries, museums, shops and collectives to showcase and illuminate local, creative talent. Doors stay open late, free tours and exhibitions are featured and creativity spills into local squares (campi) with artists and entertainers on display and digital art projections illuminating some of the city’s most striking and historic structures. Young, modern Venice shines in full light on this evening. 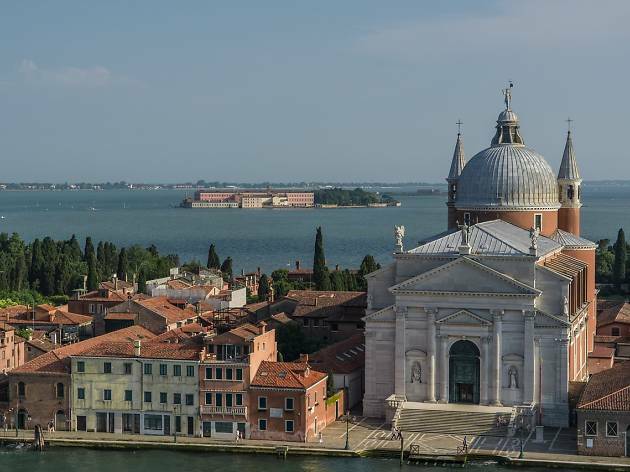 This most revered of Venetian traditions is rooted in the 16th century when Palladio was commissioned to build a church on the island of Giudecca to commemorate and give thanks for the ending of a devastating plague. 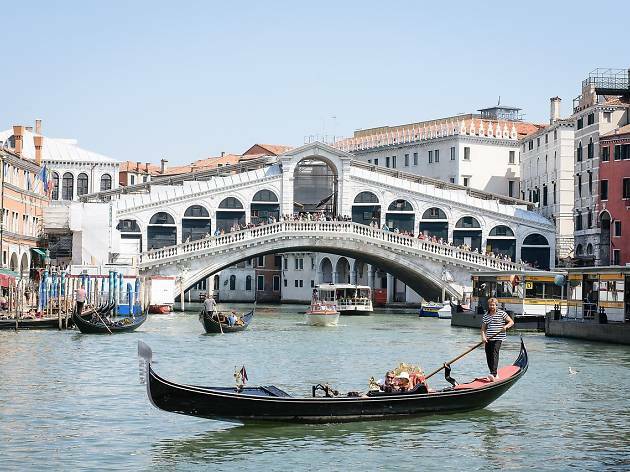 Once a year, on the third weekend of July, the island and church of Il Rendentore isareconnected to Venice’s Zattere via temporary bridge and locals of all ages and backgrounds make a 1,000-foot pilgrimage across it. On Saturday night, friends and family gather on colourfully decorated boats in the lagoon or along the fondamenta and in Sant’Elena, with each party enjoying their own, often-elaborate picnic dinner. Everyone waits in anticipation for the city’s most impressive fireworks celebration, beginning at 11:30pm. On Sunday, following pilgrimage and mass, races become the focus, with boats and rowers filling the lagoon with good-natured competition and revelry. 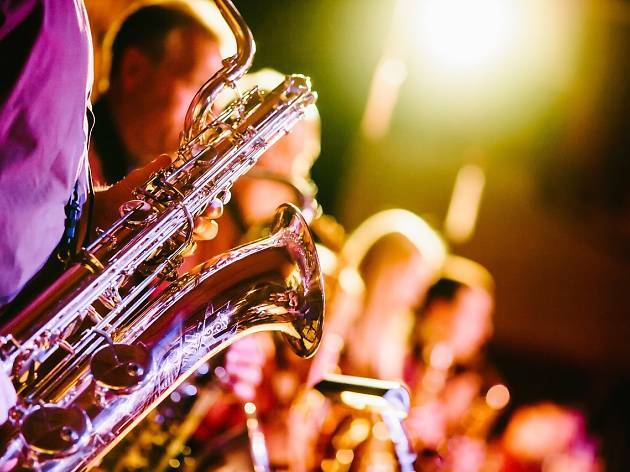 The ambitious Veneto Jazz organization programs live performances and events throughout Italy’s Veneto region during two annual sessions, winter from January through April and summer, from June through August. 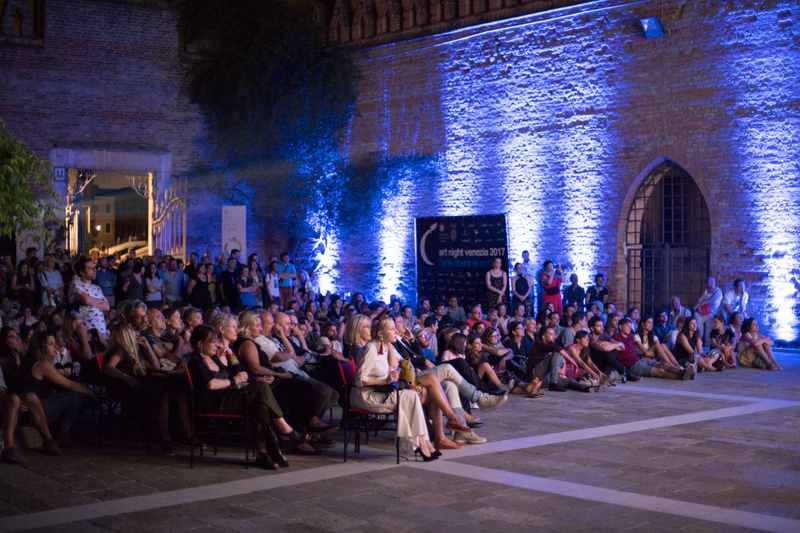 Events include a Venice-centric Jazz Festival in July as well as concerts staged in famed Venetian villas along the Brenta Riviera, including Villa Pisani in Stra. 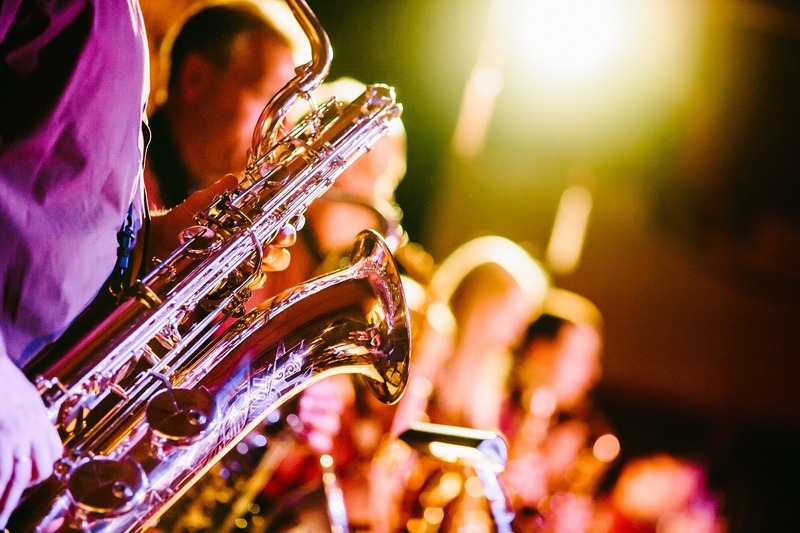 From superstar, boundary-pushing artists like Gilberto Gil and Patti Smith to rising stars, the roster always offers a mix of international and local talent and traditional jazz and beyond. Don’t miss the opportunity to see a live performance in Venice’s historic Teatro la Fenice or Chiesa della Pieta, both extraordinary venues. 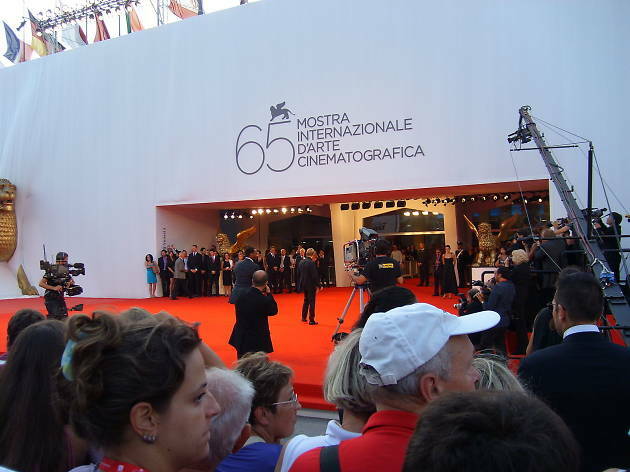 The Venice International Film Festival is the oldest and one of the most influential celebrations of cinema in the world. For more than 75 years, the festival has shaped and showcased the industry, attracting movie stars (think Robert Redford, Jennifer Lawrence and Matt Damon), film moguls and fans to Venice’s Lido island. For 11 days in late summer, a red carpet is unfurled in characteristically Venetian fashion, exuding glamour in a relaxed and casual manner. While mainstream movies are usually the focus, international and art films, documentaries and virtual reality works are also featured. Individual screening tickets or subscription passes are usually available and surprisingly affordable. Even at its celebrity and people-watching peak during A-list screenings and events, a passion for the art of cinema shines through the event. 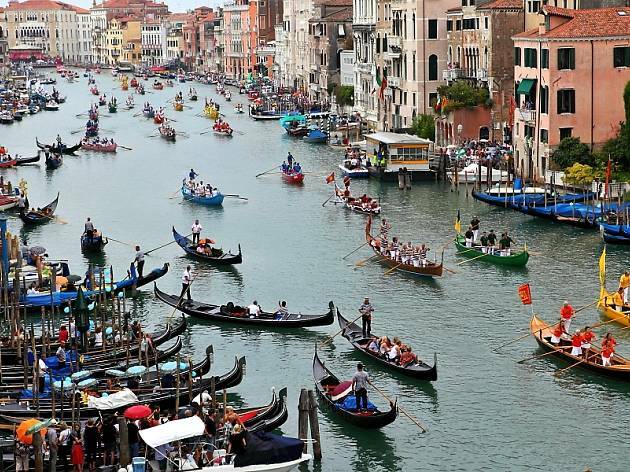 The first Sunday in September marks an event so historic and beloved, the mere mention of Regata Storica brings mist to the eyes of Venetians across generations. Rowers donning 16th century costumes glide in procession of historic and ornate boats to launch a day packed with races and excitement. Events include a women’s regatta in mascarete boats and young rower’s race in agile boats known as pupparini, leading to the highly-anticipated championship regatta in two-man gondolini, originally designed and built specifically for this race. Everyone has a favourite and cheers are enthusiastic as competitors speed toward the floating stage in front of Ca’ Foscari Palace on the Grand Canal. Find a viewpoint, pick a boat and join in on the cheering. 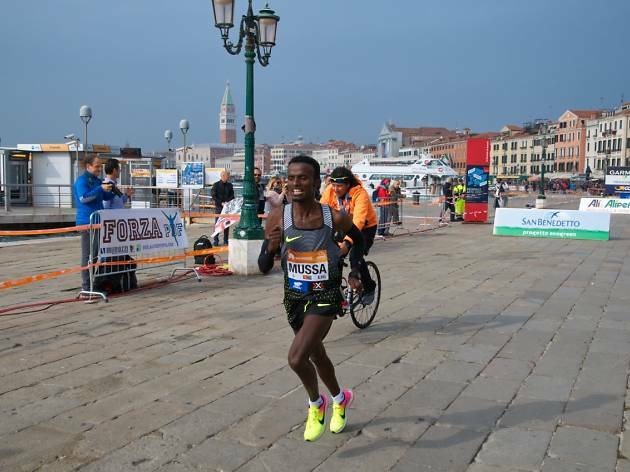 Every October, one of the running world’s most famous and scenic events welcomes 8,000 runners to experience the city from a wholly unique perspective. Participants set off from historic Villa Pisani, 25 km west of Venice to tackle a flat and fast course along the beautiful riverside area known as “Riviera del Brenta,” passing 18th century Venetian villas before winding through San Giuliano Park in Mestre and, finally, setting foot in historic Venice. Once on the island, runners cross the Grand Canal in dramatic fashion via a temporary pontoon bridge to the waterfront near St. Mark’s Square. 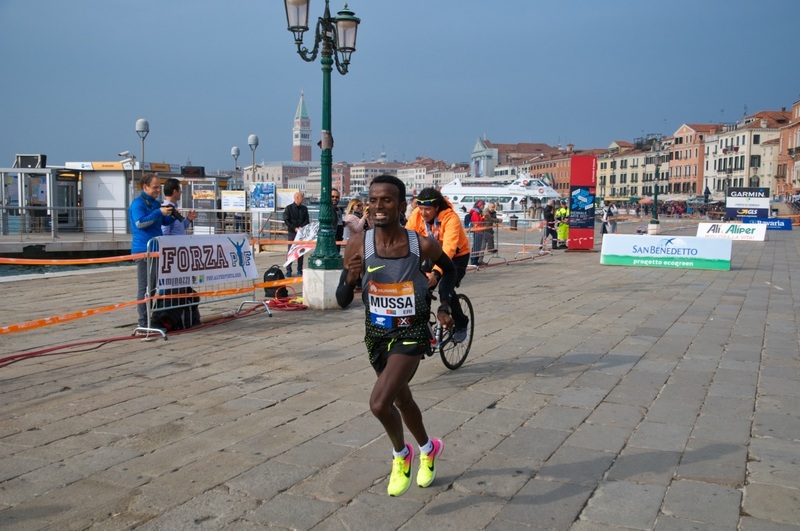 For those not ready to tackle a full marathon, there’s also a 10k event, starting in San Giuliano Park on the same day, along with a scenic Moonlight Half Marathon in May. Venice is one of the most beautiful cities in the world, boasting romantic scenery, historic attractions and serene canals. 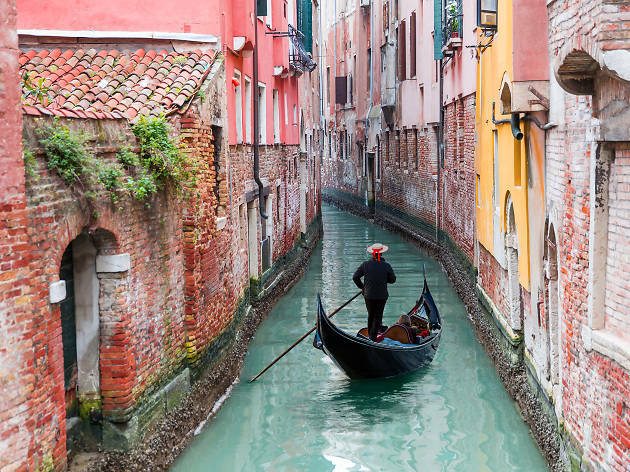 Besides taking a gondola ride, you can wander down the labyrinth of cobblestone streets, or through world-class museums, or discover the best tiramisu at one of the city’s top restaurants.